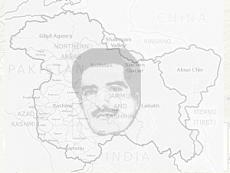 Ameer Tarin, associated with freedom movement, hails from Kashmir. He is a writer involved with voluntary effort to create an awareness on international level about the happenings in Kashmir. Ameer Tarin is not affiliated with any political party.